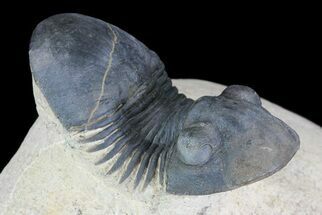 This is a beautifully prepared, 2.95" long example of Walliserops trifurcatus from the Timrhanrhart Formation near Foum Zguid, Morocco. 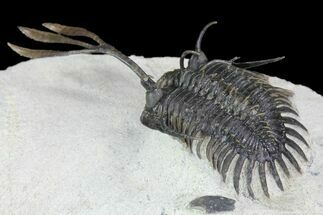 The distinctive forked trident has prepared free-standing along with nearly 40 spines, a process which takes 30-40 hours of work under microscope. 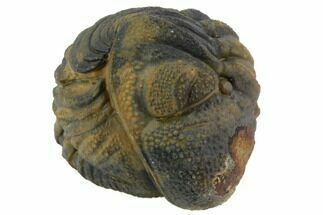 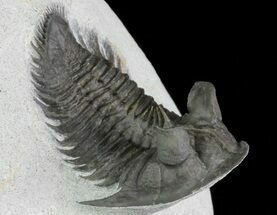 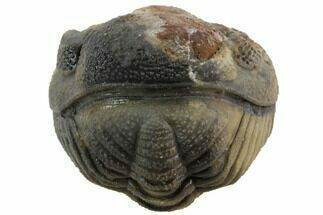 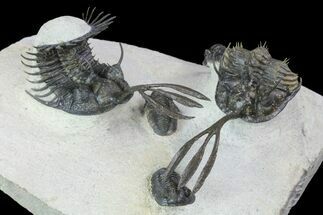 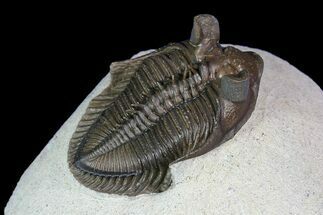 Walliserops is one of the weirdest, and most visually stunning species of trilobite, Walliserops trifurcatus. 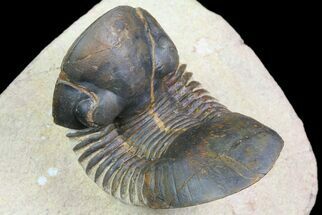 There is some debate about the purpose of the trident shaped appendage or rostrum coming off the front of it's head but it's likely it could have either had sensory purposes or have been used to stir up the mud while looking for food. 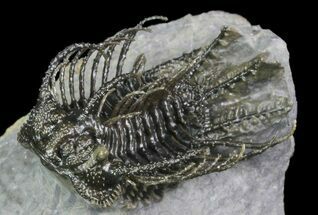 A photo of the quarry at Foum Zguid. 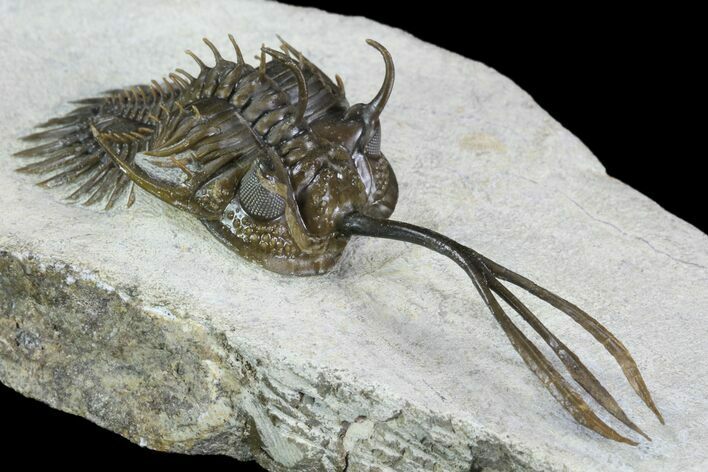 The Walliserops come out of the very bottom layer, which requires 1-2 meters of limestone overburden to be removed.